The record is made up of 1 volume (183 folios). It was created in 1907-1911. It was written in English. The original is part of the British Library: India Office The department of the British Government to which the Government of India reported between 1858 and 1947. The successor to the Court of Directors. Records and Private Papers. 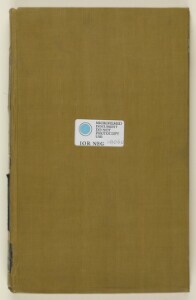 The volume contains parts two and three of the subject file 2908/1907 Pt 2-3 ‘Persian Gulf: Quarantine’. Part two is concerned with quarantine arrangements at Bahrain. Part three is concerned with the proceedings of the International Sanitary Conference (1903) and German complaints against the Persian Gulf Historically used by the British to refer to the sea area between the Arabian Peninsula and Iran. Often referred to as The Gulf or the Arabian Gulf. Quarantine Service (1907-1908). 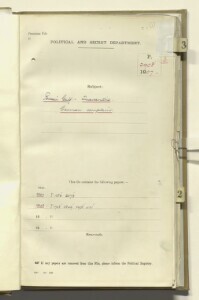 Each part includes a divider which gives the subject and part numbers, the year the subject file was opened, the subject heading, and a list of correspondence references contained in that part by year. 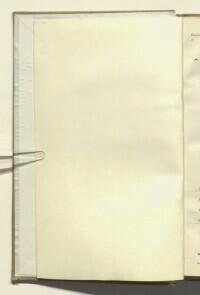 This is placed at the back of the correspondence. 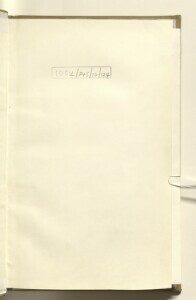 The papers are arranged in approximate chronological order from the rear to the front of the volume. The subject 2908 ( Persian Gulf Historically used by the British to refer to the sea area between the Arabian Peninsula and Iran. Often referred to as The Gulf or the Arabian Gulf. : Quarantine) consists of 2 volumes, IOR/L/PS/10/123-124. 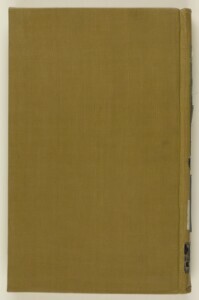 The volumes are divided into 3 parts, with part 1 comprising one volume, and parts 2 and 3 comprising the second volume. Foliation: the main foliation sequence (used for referencing) commences at the first folio (with 1) and terminates at the last folio with 181; these numbers are written in pencil, are circled, and are located in the top right corner of the recto The front of a sheet of paper or leaf, often abbreviated to 'r'. side of each folio. A previous foliation sequence, which is also circled, has been superseded and therefore crossed out. 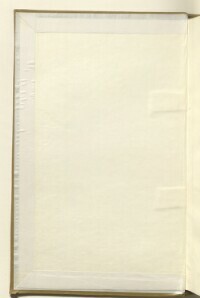 The foliation sequence does not include the front and back covers, nor does it include the leading and ending flyleaves.